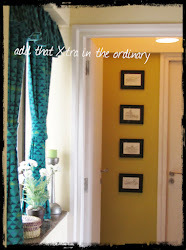 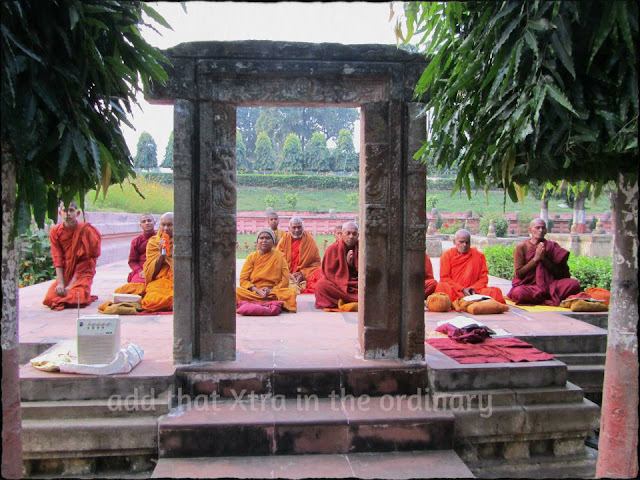 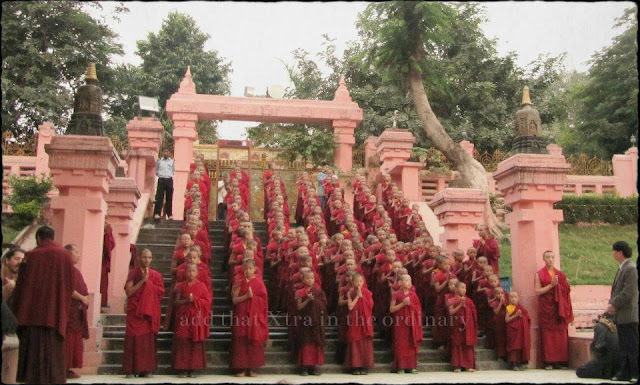 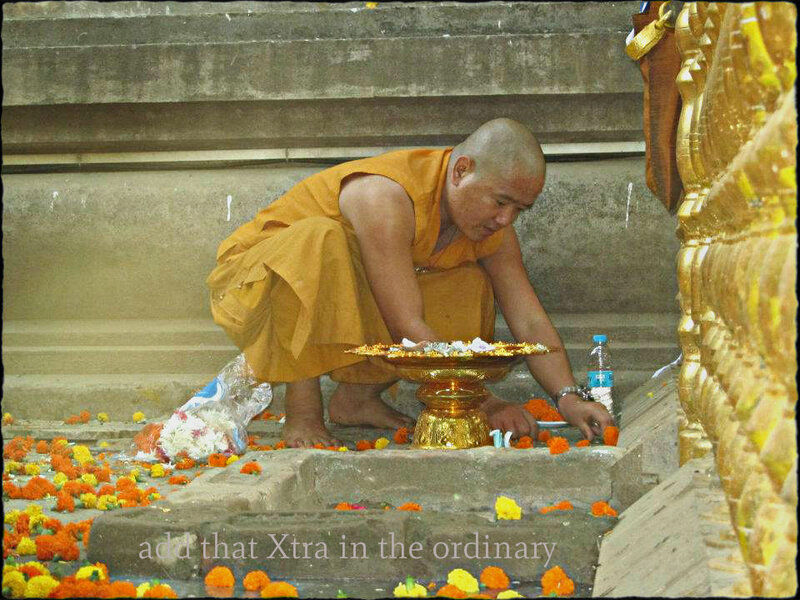 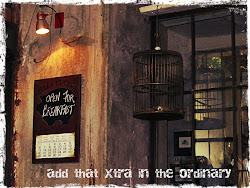 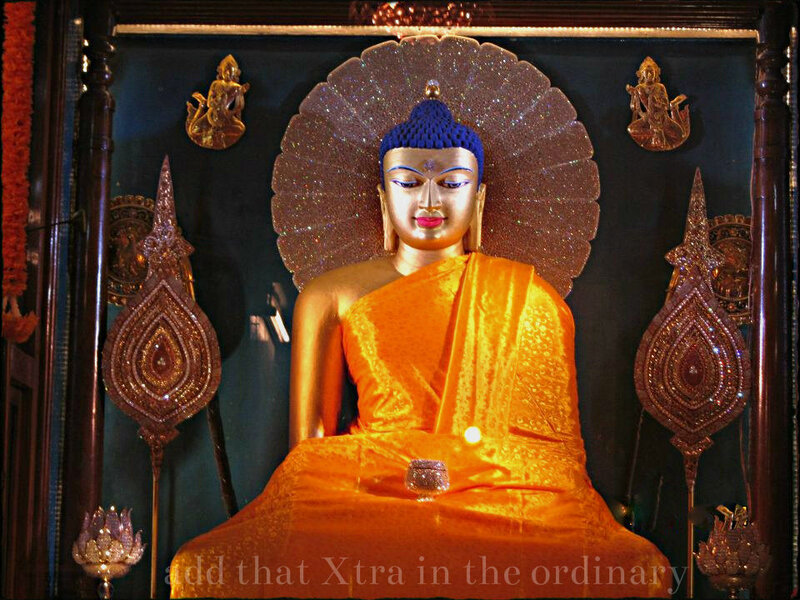 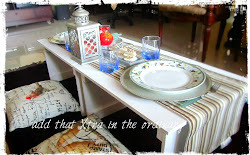 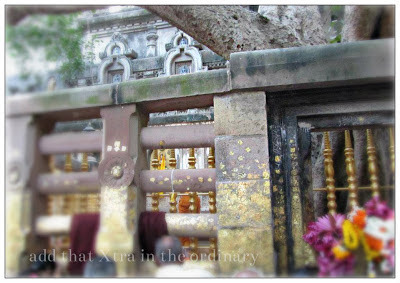 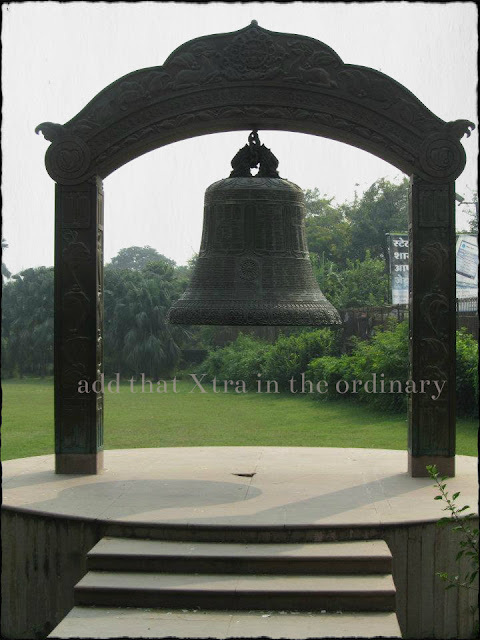 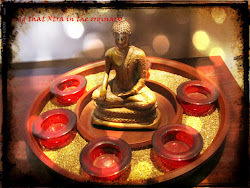 add that Xtra in the ordinary: ... from the land of Viharas, Bodh Gaya. 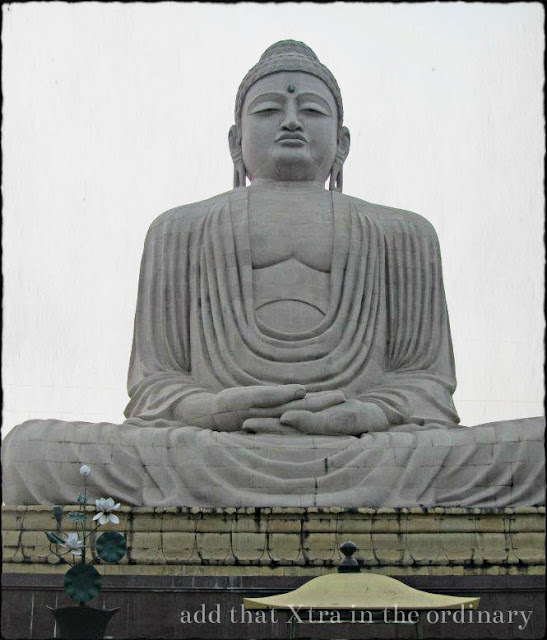 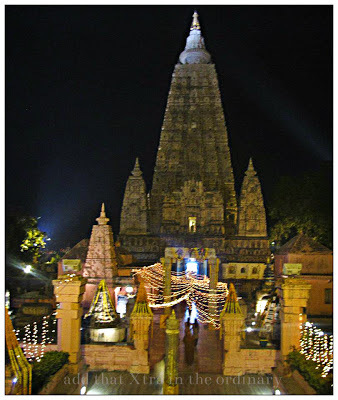 On the auspicious occasion of Buddha purnima which commemorates the birth, enlightenment and death of Gautama Buddha on this very full moon day, let me take you to Bodh Gaya the land from where it had all started ..... in the land of "Viharas"the name sake for the present Indian state of "Bihar". 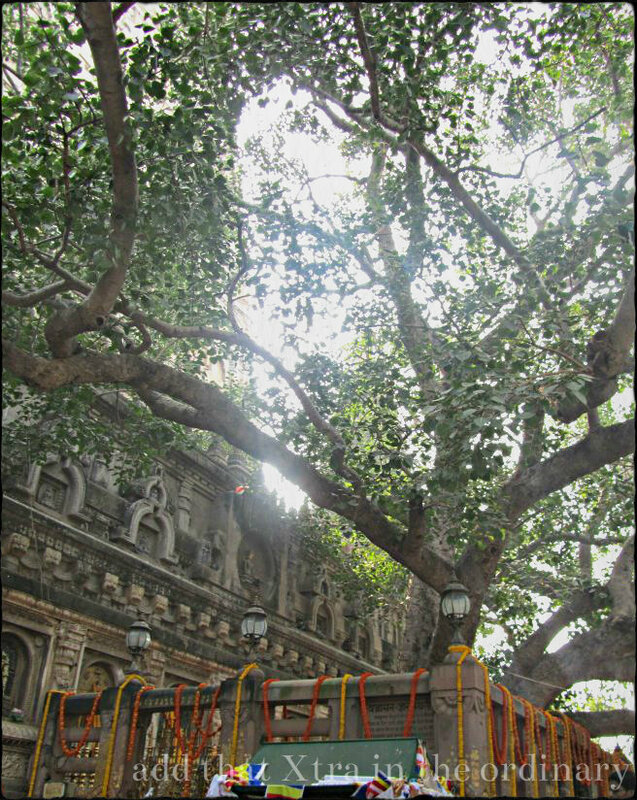 .... in the search of truth, prince Gautama had renounced all the worldly pleasures and under this peepul tree (Bodhi tree) he attained enlightenment and became the "Buddha". 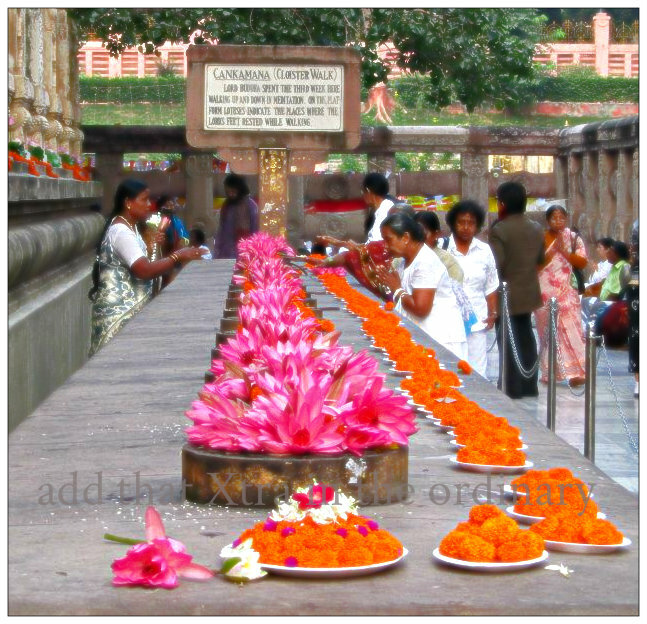 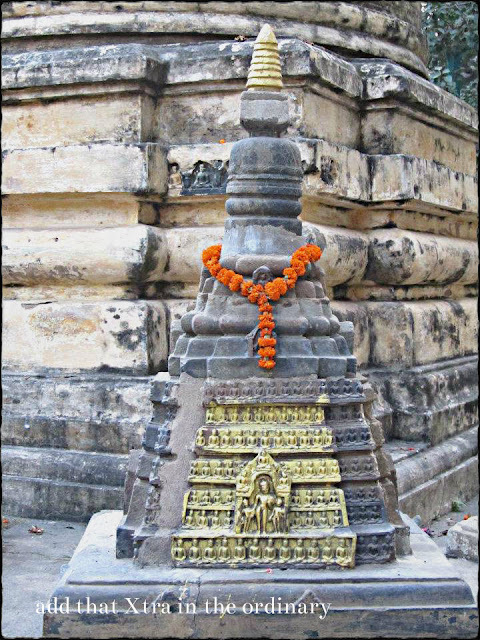 A simple shrine was built by the emperor Ashoka (3rd century B.c)to mark the spot later it was enclosed by a stone railing.The shrine was further refurbished by the Kushana kings((2nd century ) and the present Mahabodhi temple was later built next to it. 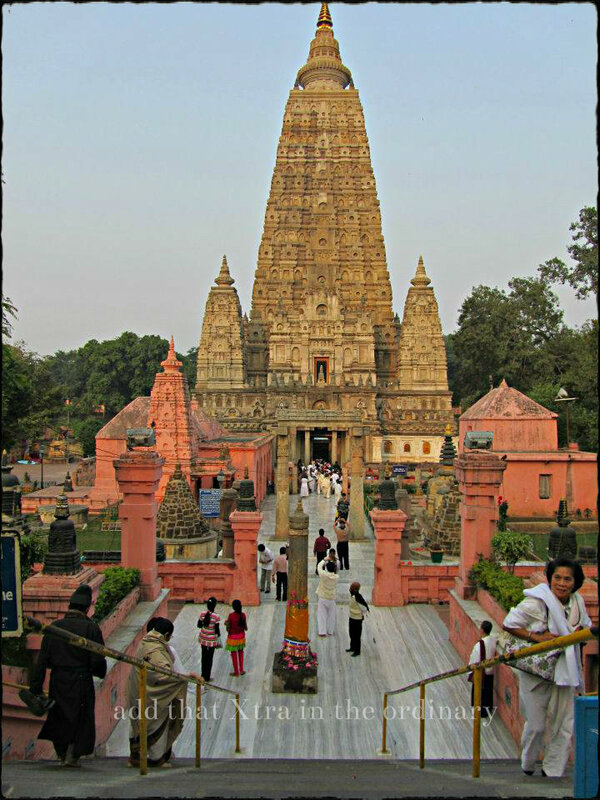 This is the main temple of Bodh Gaya called the Mahabodhi Temple, it was excavated and restored by the British archaeologist Sir A Cunningham in the second half of the 19th century,later it went under many other restorations in which the Burmese buddhists had a major contribution to pay. 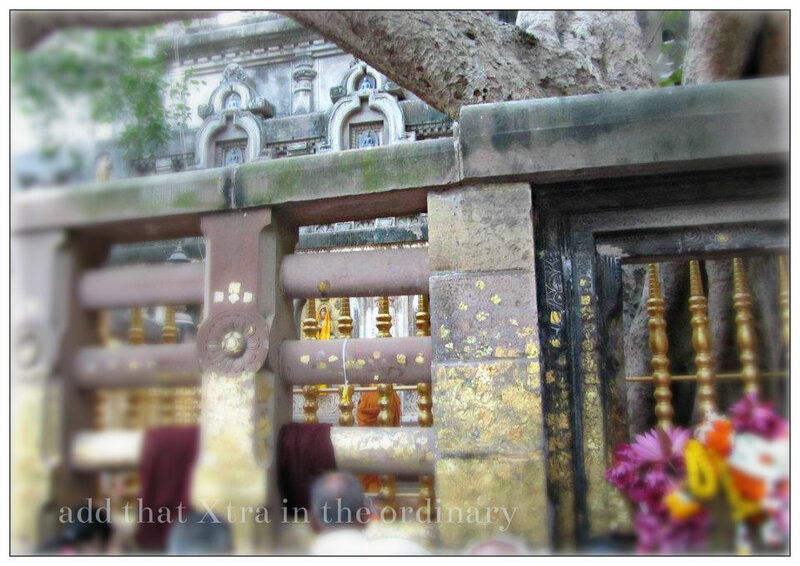 The Bodhi tree is just behind this temple,which is actually the holy shrine. Early morning chants, is so peaceful and soothing to the mind and the soul. 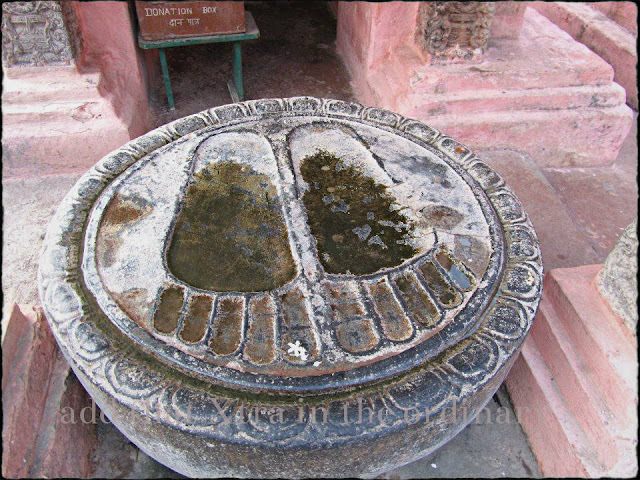 The Lord's feet,a depiction on stone. 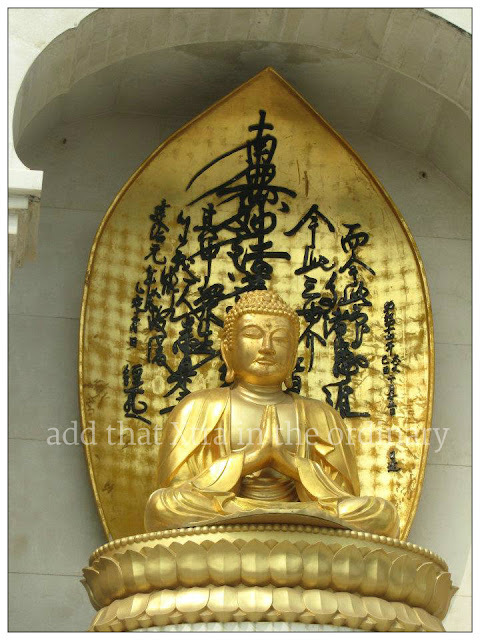 The main deity of the temple, exudes the look of peace and serenity. 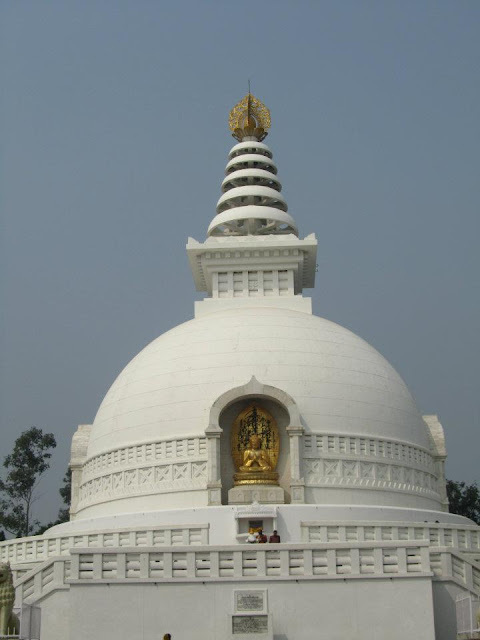 The Shanti Stupa at Rajgriha,areas near Bodh Gaya. 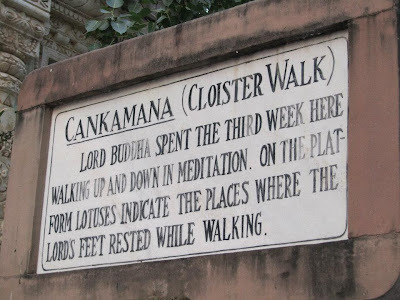 The omnipresence of the Lord has been depicted by the patrons from far east by building this 80 feet stone statue (a world heritage site) another milestone to commemorate how the presence of the Lord had spread far and worldwide from this very place. Missed this on my visit to Bihar last year!! Buddhist places all over the globe are so serene! I belong to Kushinagar in UP and every time I visit the city, we make sure to visit one of the Buddhist temples. 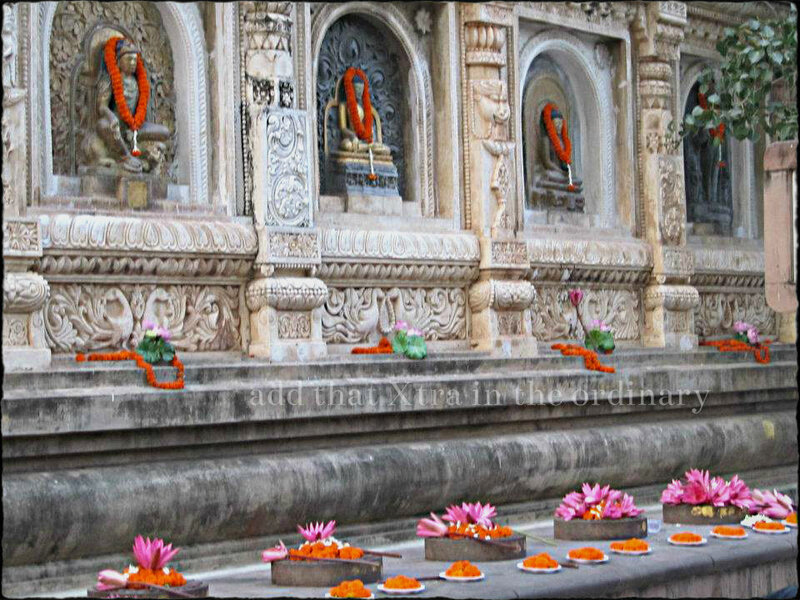 They are beautiful and mesmerizing! Very pretty and divine pictures. Lovely Shots ,yet again!Loved the one with lotuses.I am leaving for Patna today but will not stay long enough to visit these places.So feel blessed by looking at these divine pictures. 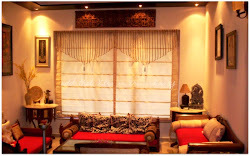 Thanks all for your lovely words of appreciation.